Marilyn Manson took quite a topple during his performance of “The Beautiful People” Friday at Stage AE in Pittsburgh. 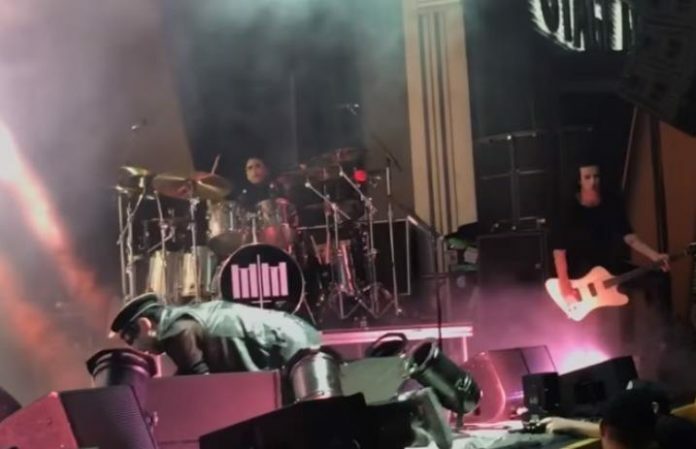 Manson claims to have broken his ankle upon the fall, but managed to crawl back on stage just before stopping the song short to explain to the audience what happened. Check out footage from the show, below. The fall took place as Manson was stepping down from the stage to sing to fans at the barricade. The frontman was only down for a few moments before he managed to get back up and continue what he set out to do. Manson eventually crawled back onto the stage, stopping the song short to address the audience. It is unknown at this time if Manson's injury will impact any further tour dates. 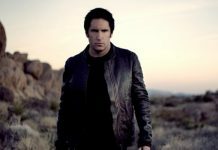 Manson's new album Heaven Upside Down is available October 6. 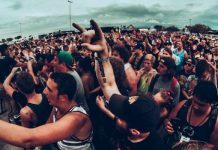 Do you plan on seeing Marilyn Manson on tour? Let us know in the comments below.